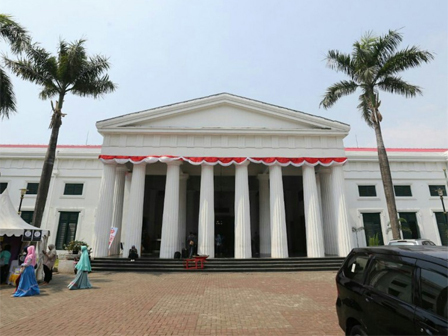 " Of 4,000 collections, most of them are contemporary ceramics"
4,000 collections of ceramics from various regions in Indonesia became the collection of Jakarta Fine Arts and Ceramics Museum. Jakarta Fine Arts and Ceramics Management Unit Head, Esti Utami said, up to now, the museum already has 4,000 collections of ceramics that are mostly contemporary ceramics. "Of 4,000 collections, most of them are contemporary ceramics," he expressed, Monday (1/29). Aside that, the museum is located on Jalan Pos Kota No. 2, West Jakarta Municipality also has 450 collections of paintings which is the work of local maestros and artists. According to her, these collections become the main attraction for visitors. "Because, visitors just come for museum tours, studies and some who want to know the culture through the collection of ceramics," he uttered.